-100% Trading Bonus + 1-on-1 training session with a coach + Signals, Charts & Tutorials. $1,000 maximum trading bonus. 50% Trading Bonus on your first deposit and another 50% after opening your first trade on our Mobile app. 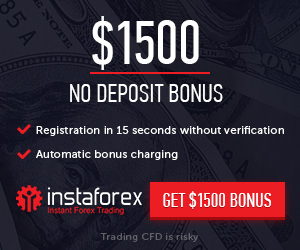 iforex may terminate this promotion at any time at its sole discretion.